A staple for mid-city grocery shopping, this organic supermarket sells a range of produce, prepared foods, snacks, natural remedies, cosmetics and toiletries. If you're loyal to a particular health food, vegan or gluten free brand, chances are good Erewhon carries it—along with five other brands you've never heard of. 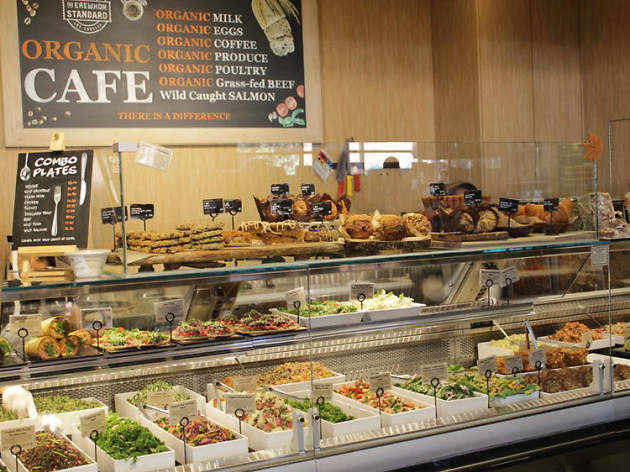 The excellent food counters feature salads, soups, sushi, deli items, fresh juices and coffee that entice everyone from the raw foodist to the curious carnivore. 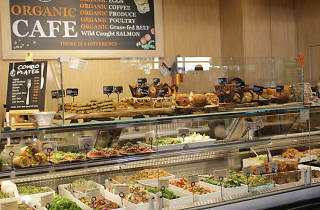 If you live further West, visit the market's other location in Venice. Erewhon is a total mecca and heaven for anyone obsessed with health food (pretty much me and the majority of this city). They carry things that are getting super popular that Whole Foods doesn’t always have (pili nuts, cave shakes, camel milk). The pricing is even more expensive than Whole Foods, so I definitely consider this a splurge shopping trip. You can order food while you’re there (or choose from the grab & go case). They also serve Bulletproof coffee & ice cream ($20/cup). It’s almost more fun just to look rather than buy, but I still love coming here. PS The parking lot at the Venice location is very small.